Aussie rockers, Papa vs Pretty, are rolling out new tracks this Christmas as they prepare to drop their second full length album, White Deer Park, in February next year. Their latest release is ‘Smother’, and it’s sing-along rocking good. The upbeat track continues the band’s familiar guitar heavy and vocal rich sound, and it should play well on radio. The song also seems terribly appropriate for this time of year, when festive family get-togethers can snowball into a heavy mess of relationship calamities… or maybe you just feel smothered by all that is…ahhh… Christmas. 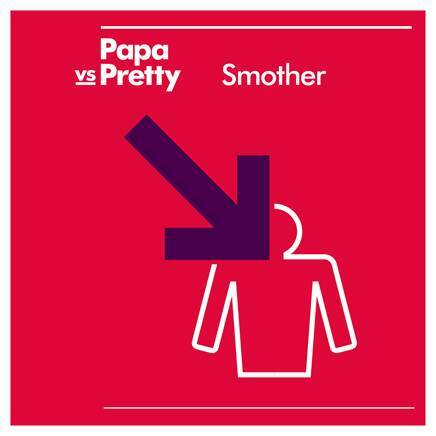 It’s been a long time since we’ve had new music from Papa vs Pretty. 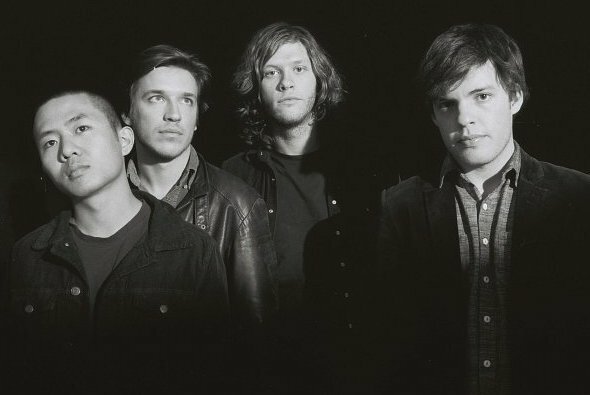 Their first album, United in Isolation, was released in mid 2011. Actually, it feels like forever ago since I saw them tour that album with a gig at the Northcote Social Club back in June 2011. I’ve enjoyed all the music released by this band, thanks to their musicianship, indie rock feel and guitar/bass/drum driven output. The guitary goodness of ‘Honey’ from United in Isolation is a favourite on my running playlist (the guitar solo always makes me smile! ), and ‘Sgt. Suffer’ from their debut EP Heavy Harm was another Papa vs Pretty track that, appropriately, helped me through the marathon back in October. Recently, I had the opportunity to interview the band’s lead singer, Thomas Rawle, about their new music. First, I wanted to know if their recording process for White Deer Park had differed since making United in Isolation? “Luke joined the band and that’s changed the dynamic in a terrific way. We couldn’t have done this record without him. It also was a much more collaborative effort,” explained Thomas. Thomas began Papa vs Pretty as a solo project, then he grew the band with friends Angus Gardiner on bass and Tom Myers on drums, forming the trio that produced Heavy Harm and United in Isolation. Last year Luke Liang joined the band, playing guitars and keyboards and contributing additional backing vocals. Hearing ‘Smother’ and their other recent track, ‘My Life is Yours’, I had a feeling the lyrics reflected a heavy theme around disruptive relationships. It made me wonder if this theme would be the broad lyrical arch for songs fon White Deer Park, or is there another theme at play? So, what is the biggest influence on the lyrical themes of the new songs? “They’re not really about relationships in the classic sense of the word. It’s not about like someone I’ve been dating or anything like that, it’s a broader thing. ‘Smother’ is great Aussie rock, prefect for live gigs in pubs. I asked Thomas which Australian venues have been his favourite to play at? And of course, there was beer. 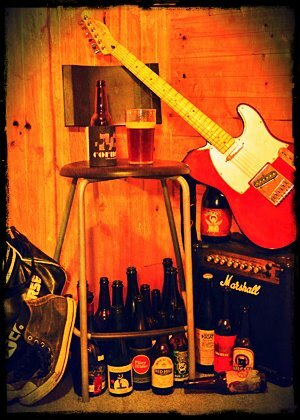 Seriously, I can’t talk rock music and touring without talking beers to match the music. So, what does Papa vs Pretty drink on tour? Great list! Brew Am I would pair nicely indeed with a Papa vs Pretty gig. For a beer to match with ‘Smother’, I recommend something bitter that will smother your tongue with malt and hops, yet is still rockingly delicious, like the Mountain Goat India Pale Ale or the Mornington Peninsula Brewery IPA. And if you can track it down, smother yourself with the new Leader of the Pack IPA from Black Dog Brewery! For any closet hipsters with a reborn vinyl collection like me, you can buy a 7 inch vinyl of the two new PvP tracks – Smother / My Life Is Yours – via JB HiFi for only $9. Otherwise, find their music on iTunes or just head to the Papa vs Pretty website. Tags: bands, papa vs pretty. Bookmark the permalink.